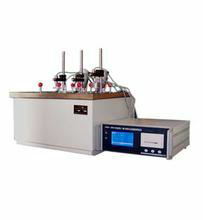 The thermal deformation and Vicat softening point temperature tester is mainly used for measuring the thermal deformation and Vicat softening point temperature of non-metallic materials (such as plastics, rubber, nylon, electrical insulation materials, etc.). 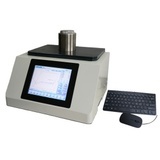 With stable quality and simple operation, it is an ideal testing tool for chemical enterprises, scientific research institutions, colleges and universities. 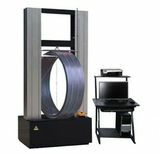 1 the sample frame is an integrated structure with small expansion coefficient, and the experimental data are true and accurate. 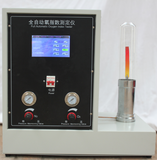 2 use molding unit controller to control heating rate, temperature limit and temperature display. 3 it is easy to operate, easy to use and stable in performance. 5, you can connect to the computer to realize data storage, analysis and printing. 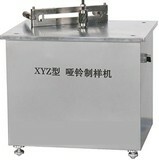 This instrument conforms to the standards of ISO75, ISO306, GB1633-2000, GB1634-2004 GB8802-2001 and so on. 6 the maximum heating power is 3KW. 7 cooling mode: natural cooling; water cooling. 9 host power supply is AC three-phase five wire 380V + 10%, 50Hz, 5kW. It has a water cooling circulation system. 10 VEKA load rod is equipped with load plate, fixed on rigid metal frame, and can move freely in vertical direction. The load rods and metal structural members should have the same coefficient of expansion. 11 pressure needle is made of hard steel, 3 mm long, cross-sectional area of 1.000 + 0.015 mm 2 cylinder, the lower surface of pressure needle should be flat, perpendicular to the axis of the load rod, without burrs. 12 the outline size is 645mmx670mmx1450mm.